In this article, I want to consider the effect native Xbox 360 controller support has had on PC gaming. First, I will discuss how 360 controller support has been of benefit to gamers and developers, sometimes in unexpected ways. Second, I will look at how this support may be benefiting the platform's success as a whole. Finally, we'll consider how it is contributing to the platform's expansion into console territory. But first, let's start with how Xbox 360 controller support came about. Most of you are probably aware that many PC games now include native support for Xbox 360 controllers. I say native because the support is plug-and-play and usually allows one to control the game entirely with the controller once it is launched. This is a big improvement over previous controller support on PC, which required a lot of configuration and calibration, no on-screen button prompts, and no menu support. This support has its roots in Microsoft's Games for Windows certification program, which began in 2006. Essentially, if a developer's game met certain criteria they could put a shiny GFW logo on their box, not unlike the "Nintendo Seal of Quality" of ages past. One of these criteria was native support for the Xbox 360 controller (when applicable), which used USB and was plug-and-play in Windows Vista and 7. While the 360 controller used a new API, XInput, support for legacy DirectInput was not required. This caused frustration amongst gamers with older controllers, but PC gamers found a way around this with the freeware program x360ce. XInput offered advantages; according to Microsoft it was easier for developers to setup, and since it was used by both Windows and the 360 it made cross-platform development easier and controller support easier to implement on PC. Games for Windows continues as a program, and 360 controller support is now commonplace on PC - even indie games like They Bleed Pixels and Sine Mora that have no interest in GFW certification fully support 360 controllers. The PC finally has a "standard" controller, and developers seem very pleased to support it. It must be a relief after years of having to guess what players would be using - probably why most developers skipped controller support on PC titles entirely in the past. Super Meat Boy's opening screen urges PC gamers to use a controller - or else! As a PC gamer I'm often stuck trying to explain to console gamers why keyboard & mouse is superior to a controller for some game genres. Yet recently I've found myself in the opposite position - trying to convince PC gamers that controllers are not only fine for some games, but actually superior for some genres. This resistance to controllers is the worst sort of platform elitism; many act as if using a controller is somehow beneath them. It's all ridiculous, of course. The fact is, a controller has some advantages. Keyboards lack analog control entirely, as WASD is effectively just a d-pad. Analog sticks allow for both degrees of movement (e.g. walking vs. running or degrees of steering) and full 360-degree movement vs. the 8 directions you can manage with WASD. Controllers also have analog triggers, excellent for controlling things like acceleration and braking. Force-feedback is also nice, and can provide useful gameplay information in addition to better immersion. What game genres are controllers best for? Driving and flight games are the obvious answer. 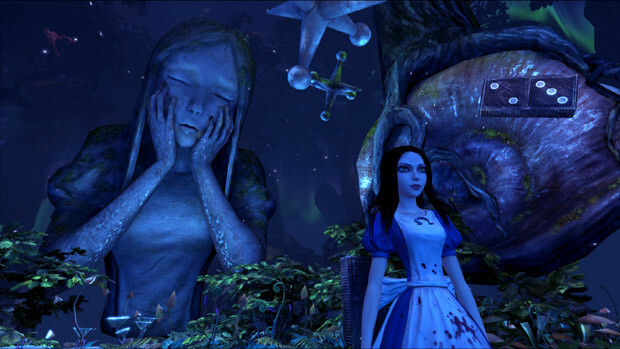 However, many third-person action titles like Alice Madness Returns play better with controllers. They are also great for fighting games, platformers, and twin-stick shooters like Renegade Ops. Unlike the original, the new Alice game plays best with a controller. Sometimes, of course, it's just a matter of tradition or taste. Sure, I could play Sonic Generations with the keyboard... but I played the original with a controller on the Sega Genesis, and a controller just feels right for the game. 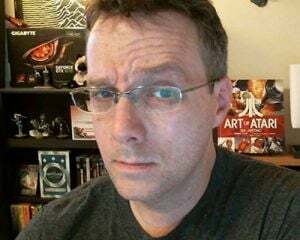 That's probably the same reason Team Meat would prefer you use a controller with Super Meat Boy, a game inspired by old-school console platformers. There are also controller benefits you might not think about - for example, many games support local multiplayer on PC now, including Blur, Sonic & All-Stars Racing Transformed, Trine 2, Magicka, Street Figher IV, and Dungeon Defenders. PCs are actually great for split-screen. Running your monitor or HDTV at native 1080p or higher keeps each person's part of the screen crisp. You can even spread some games like Dirt 3 across multiple displays so each player has their own separate view! And a PC's extra horsepower keeps split-screen gameplay smoother than on a console. 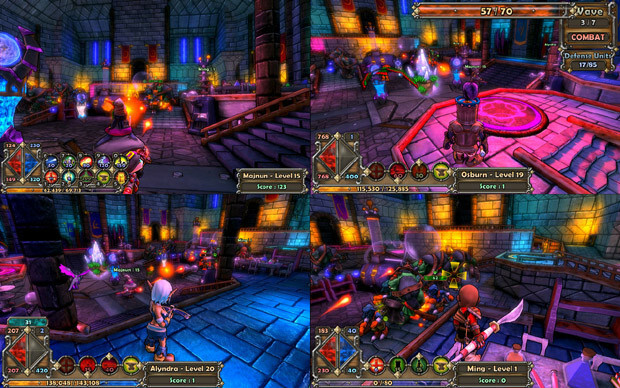 Dungeon Defenders is great split-screen on PC, and can even span multiple displays. Some PC gamers bemoan the cost of purchasing a controller because they "shouldn't have to". But a 360 controller is a good investment if you play any of the genres that favor them. You also have numerous options when it comes to 360 controllers. If you already have a 360, your wired controllers can just be plugged into your PC. If you have wireless 360 controllers, getting a simple wireless adapter will let you sync them to your PC. You also have options from companies like Razer, and if you want the best of both worlds, Logitech's new controllers support both XInput and DirectInput with the flip of a switch. At this point a 360 controller should be part of every PC gamer's hardware. It really comes down to picking the right tool for the job. Sometimes that tool is a controller, be it for functionality or personal preference. We shouldn't let platform prejudices get in the way of enjoying our games to their fullest. We should also consider the benefits of 360 controller support for the platform as a whole. PC gaming has been booming the last few years. While this is largely due to the success of digital distribution (e.g. Steam and GoG), native controller support has certainly helped this growth. In particular, controller support has enabled an explosion of cross-platform releases, particularly in genres previously under-represented on PC. In the past, platformers like Rayman Origins and Sonic Generations were unlikely to appear on PC at all. The same applies to fighting games, which most gamers prefer to play with a controller or joystick. Yet now Sega is releasing all their Sonic titles on PC, and about half of major fighting game releases make it to PC. A recent shocker is that the new Castlevania game will be coming to PC but not Nintendo's Wii U. That's pretty astounding, really. 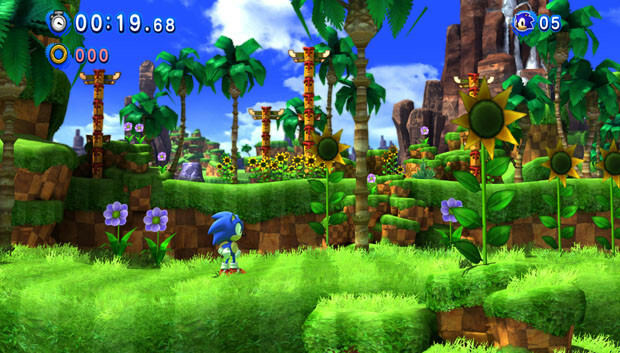 Would Sonic Generations have come to PC if 360 controllers weren't so prevalent? The biggest long-term effect of Xbox 360 controller support may be the expansion of PC gaming into the living room. Combined with the adoption of HDTVs, using a PC as a console replacement in the living room has become quite feasible. Valve promotes Big Picture Mode with Logitech's F710 controller. Valve is capitalizing on this with Steam's new Big Picture Mode. Designed for HDTVs, this special interface allows gamers to control Steam with just an Xbox 360 (or other XInput) controller, and is similar to the controller interfaces offered by the PS3 and 360. Valve has even made it easy to sort out games with "full controller support" in this mode, and added that category to the Steam store. 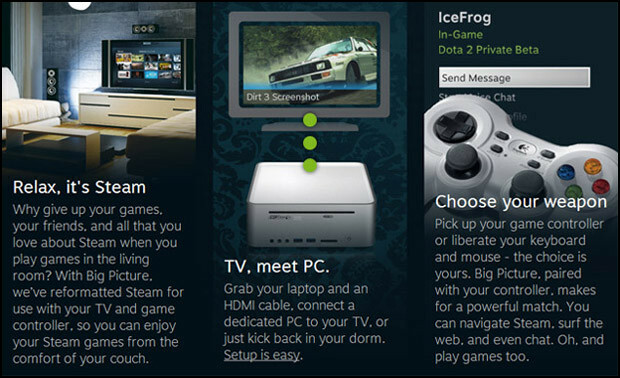 While the "Steambox" was just a rumor a year ago, Valve has confirmed that Big Picture Mode will lead to a new breed of PCs ready to compete with next-gen consoles in the living room. The idea of PCs moving in on console turf would have sounded crazy five years ago. But it seems this is a thing that is happening. The supreme irony of all this may be that Microsoft, through their Games for Windows program, helped create a situation where PCs would compete with their own console. Brilliant indie title Vessel lays out your control options, steampunk style. While some elitists might see the adoption of controllers as a bad thing, it's clear that having a "standard" PC controller has greatly benefited the platform in terms of software support and popularity. As someone who loves PC gaming, I think this is great to see. Why? Because whether you are a recent convert who only uses controllers, or a stubborn PC veteran who insists on playing racing games with a keyboard, remember this: PC gaming is ultimately about choice. That means picking your own hardware, choosing your own graphics settings, tweaking config files, using mods, and generally playing games the way you want to play them. Native Xbox 360 controller support has given us more games to play, and more choices about how - and where - we play them. There is nothing more authentically PC than having as many gaming options as possible. And there is nothing more wonderful for me, personally, than seeing new players embracing the platform and enjoying it as much as I do.